Covers invention and patent information for the Miami Valley region for the years 1814-1875. Contained in the database are 1800+ patent documents and 4000 individual names, some with historical notes. This is a guide of recommended information resources for patent and trademark research. Wright State University Libraries maintain a Patent and Trademark Resource Center (PTRC) in the Paul Laurence Dunbar Library. 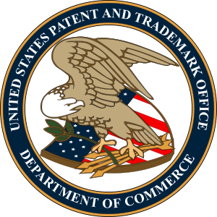 As an official PTRC of the United States Patent and Trademark Office (USPTO) we have a formal agreement to provide assistance to the general public in the use of patent and trademark resources provided by the USPTO. Recognizing that intellectual property research is a complex endeavor with important legal and financial implications, our services are designed to support the individual or corporate/legal researcher's efforts to conduct self-directed and preliminary research. Library staff cannot offer legal advice, conduct searches, assist in writing applications, guarantee completeness of searches, or advise on ideas. All final research, regarding intellectual property determinations, should be done in consultation with proper intellectual property legal professionals. The Reference staff will make every effort to protect the confidentiality and privacy of researchers. If you are a first time researcher it is recommended you make an appointment with the Government and History Librarian between 9 am and 4 pm Monday through Friday. If those times are inconvenient arrangements can be made for other times. Check the University Libraries online calendar for hours.